A heart full of love has a fire no hatred can quench. Love is fire, but whether it is going to warm your heart or burn down your house, you can never tell. 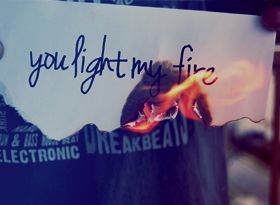 Love is a lot like fire. 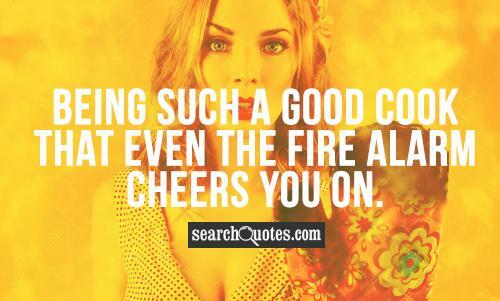 It can make you warm, or destroy all you have, and once the flame of love ignites, it's beyond your control. 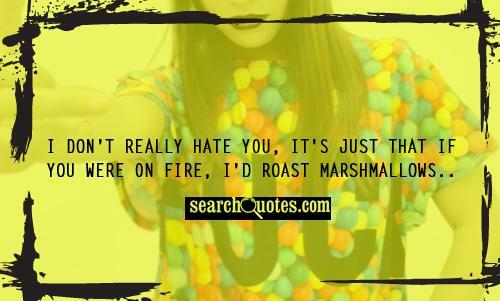 I don't really hate you, it's just that if you were on fire, I'd roast marshmallows.. Rumors are like fires. No one admits to starting them and before you know it, they're out of control. 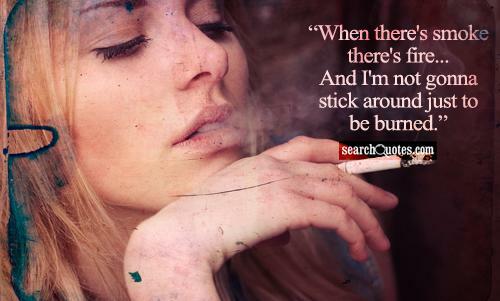 When there's smoke there's fire...And I'm not gonna stick around just to be burned. Being such a good cook that even the fire alarm cheers you on. Fire is the light, heat or smoke produced when something burns. Generally, wood or charcoal is burnt to produce fire for heating or cooking. Our forefathers produced fire by rubbing two stones against each other. This was the way fire was first generated. Fire causes burns and wholesale destruction of life and property. Buildings can catch fire and get completely damaged on account of some short circuit or electric spark. Fire also refers to the feeling of passionate emotion or enthusiasm that a person exhibits and which drives him towards something tangible and worthwhile. In the words of William Butler Yeats, “Education is not filling of a pail, but it is the job of lighting a fire.” Robert frost considers fire to be the potent cause of worldwide catastrophe. He had remarked, “Some say the world will end in fire, some say in ice.” Fire can be extremely dangerous and causes wholesale destruction of life and property.